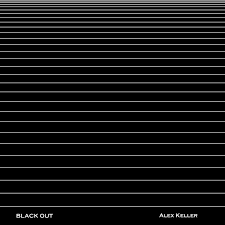 Alex Keller will present a multichannel installation version of his 2015 piece, Black out. With a thematic tie to the Resonant Lung, Black out uses slowly developing sounds to manipulate the acoustic and mechanical properties of a room, in an exploration of the natural rhythm of breath, and the stasis that emerges from its absence. The artist talk starts at 12pm, with the sound presentation following from 1 to 6pm. In the compact disc version of Black out, the theater’s lights and other fixtures rustle, vibrate, and wheeze in sympathy with the oscillating sounds, transforming the entire room into an idiosyncratic breathing organism. In addition to the installation, Alex will explain the process of exploiting architectural acoustics, work with attendees to attempt to tune Dimension Gallery, and explore the acoustic idiosyncrasies and opportunities within the Resonant Lung. Attendees should bring questions and earplugs.